Kyle Grillot - kgrillot@shawmedia.com Scott Offord of Woodstock works to keep up with the demand for Paczki in the kitchen of Country Doughnuts Tuesday, March 4, 2014. In the Midwest, Paczki Day is typically celebrated annually by immigrants and locals alike. "We don't really have a heavily Polish population around here, there are a lot of Polish people in the county, but the people just like the extra rich product we're making for a couple days out of the year," said Offord. 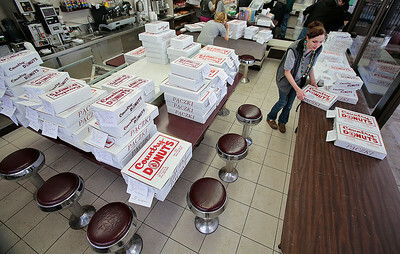 The shop has taken orders for 897 dozen paczki Tuesday and expects to reach 1000 as orders come in Wednesday. Kyle Grillot - kgrillot@shawmedia.com Bree Foreman of Crystal Lake searches for paczki orders inside Country Doughnuts Tuesday, March 4, 2014. 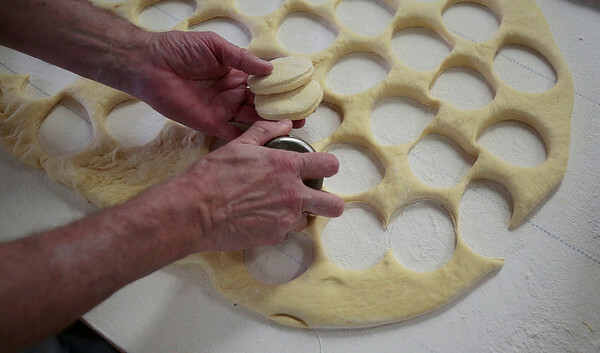 In the Midwest, Paczki Day is typically celebrated annually by immigrants and locals alike. "We don't really have a heavily Polish population around here, there are a lot of Polish people in the county, but the people just like the extra rich product we're making for a couple days out of the year," said co-owner Scott Offord. 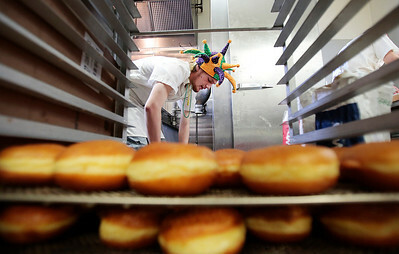 The shop has taken orders for 897 dozen paczki Tuesday and expects to reach 1000 as orders come in Wednesday. 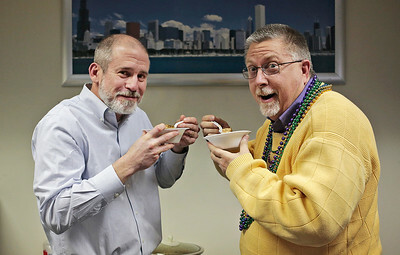 Kyle Grillot - kgrillot@shawmedia.com David McGrath of Crystal Lake works to keep up with the demand for Paczki in the kitchen of Country Doughnuts Tuesday, March 4, 2014. In the Midwest, Paczki Day is typically celebrated annually by immigrants and locals alike. "We don't really have a heavily Polish population around here, there are a lot of Polish people in the county, but the people just like the extra rich product we're making for a couple days out of the year," said co-owner Scott Offord. 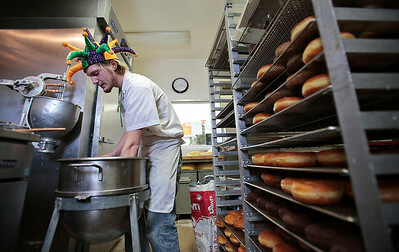 The shop has taken orders for 897 dozen paczki Tuesday and expects to reach 1000 as orders come in Wednesday.